La Paz, officially known as Nuestra Señora de La Paz, also named Chuqi Yapu (Chuquiago) in Aymara, is the seat of government and the de facto national capital of the Plurinational State of Bolivia. With an estimated 789,541 residents as of 2015, La Paz is the third-most populous city in Bolivia. Its metropolitan area, which is formed by La Paz, El Alto and Viacha, makes up the most populous urban area in Bolivia, with a population of 2.3 million. It is also the capital of the La Paz Department. In international human rights law, a forced disappearance occurs when a person is secretly abducted or imprisoned by a state or political organization or by a third party with the authorization, support, or acquiescence of a state or political organization, followed by a refusal to acknowledge the person's fate and whereabouts, with the intent of placing the victim outside the protection of the law. Hugo Banzer Suárez was a Bolivian politician, military general and President of Bolivia. He held the Bolivian presidency twice: from 1971 to 1978, as a dictator; and then again from 1997 to 2001, as constitutional President. Gonzalo Sánchez de Lozada y Sánchez de Bustamante, familiarly known as "Goni", is a Bolivian politician and businessman, who served as President of Bolivia for two non-consecutive terms. He is a lifelong member of the Movimiento Nacionalista Revolucionario (MNR). As Minister of Planning in the government of President Víctor Paz Estenssoro, Sánchez de Lozada used "shock therapy" in 1985 to cut hyperinflation from an estimated 25,000% to a single digit within a period of less than 6 weeks. The Revolutionary Nationalist Movement is a Bolivian political party and the leading force behind the Bolivian National Revolution. 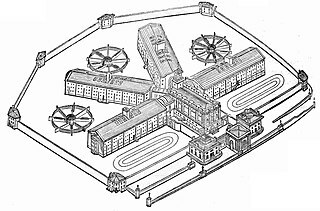 It influenced much of the country's history since 1941. Alfredo Ovando Candía was a Bolivian president and dictator, general and political figure. René Barrientos Ortuño was a Bolivian military officer and politician who served as his country's Vice President in 1964 and as its President from 1966 to 1969. Luis García Meza Tejada was a Bolivian dictator. A native of La Paz, he was a career military officer who rose to the rank of general during the reign of Hugo Banzer (1971–78). Between 1980 and 1981 García Meza was the dictator of Bolivia. Lidia Gueiler Tejada was the first female President of Bolivia, serving in an interim capacity from 1979 to 1980. She was Bolivia's first and only female Head of State, and the second in American history. The Confederation of Indigenous Peoples of Bolivia,, is a national representative organization of the Bolivian indigenous movement. It was founded in October 1982 in Santa Cruz de la Sierra as the Confederation of Indigenous Peoples of the Bolivian East, with the participation of representatives of four indigenous peoples of the Bolivian East: Guarani-Izoceños, Chiquitanos, Ayoreos and Guarayos. Germán Busch Becerra was a former Bolivian military officer, hero of the Chaco War, and president of Bolivia between 1937 and 1939. Busch also served as president for three days during May 1936. David Choquehuanca Céspedes is a Bolivian politician. He served as the Foreign Minister of Bolivia from 23 January 2006 to 23 January 2017. He was designated the Secretary General of the Bolivarian Alternative for the Americas (ALBA) in March 2017. Wálter Guevara Arze was a Bolivian statesman, cabinet minister, writer, diplomat, and president (1979). Alberto Natusch Busch was a Bolivian general and dictator of his country for a brief time in November 1979. The history of Bolivia from 1964 to 1982 is a time of periodic instability under various military dictators. On November 4, 1964 power passed from the elected leader of the Bolivian National Revolution, Víctor Paz Estenssoro to a military junta under vice-president General René Barrientos. Barrientos was elected president in 1966, but died accidentally in a helicopter crash in 1969, leading to a coup in September 1969 by General Ovando, who was overthrown in October 1970 by General Rogelio Miranda who was overthrown a couple of days later by General J.J.Torres, who in turn was overthrown on August 1971 by Hugo Banzer Suárez. Banzer ruled for seven years, initially from 1971 to 1974 with the support of Estenssoro's Nationalist Revolutionary Movement. In 1974, impatient with schisms in the party, he replaced civilians with members of the armed forces and suspended political activities. The economy grew impressively during Banzer's presidency, but demands for greater political freedom undercut his support. He called elections in 1978 and Bolivia once again plunged into turmoil. Juan Pereda ruled for only four months in 1978, but his ascent to the presidency marked the beginning of an even more unstable period in Bolivian history, with nine civilian and military presidents in little over four years (1978–1982). 1982 marked the return to a democratically elected government, with Guido Vildoso as president. Jenaro Flores Santos, often Genaro Flores Santos, is a Bolivian trade union leader and politician. Gualberto Vega Yapura was a Bolivian trade unionist. Vega Yapura was the head of the FSTMB miners' union. Óscar Zamora Medinaceli was a Bolivian politician and lawyer. A communist student activist in his youth and leader of a failed Maoist insurgency in the 1970s, Zamora Medinaceli went on to become a senator, minister, mayor, ambassador and prefect. 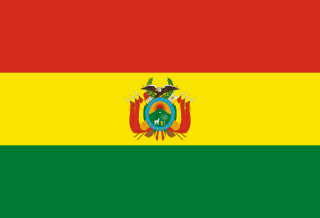 General elections were held in Bolivia on 29 June 1980, the third in three years. As no candidate in the presidential elections received a majority of the vote, the National Congress was required to elect a President on 6 August. 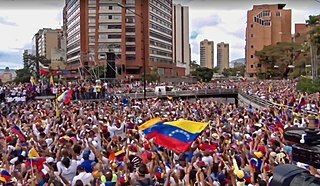 With Hernán Siles Zuazo of the Democratic and Popular Union the favourite to win the Congressional ballot, the process was disrupted on 17 July by the military coup led by General Luis García Meza Tejada. However, Meza was pressured to resign on 4 August 1981, resulting in General Celso Torrelio becoming President. In July 1982 he was replaced by General Guido Vildoso, who was named by the high command to return the country to democratic rule. On 17 September 1982, during a general strike that brought the country close to civil war, the military decided to step down, to reconvene the National Congress elected in 1980, and to accept its choice of President. Accordingly, the National Congress revalidated the 1980 election results on 23 September and overwhelmingly elected Hernán Siles Zuazo as President on 5 October. He subsequently assumed the presidency on 10 October 1982. The Authentic Revolutionary Party was a political party in Bolivia. Elsa Cladera de Bravo. (1922-2005) was a Bolivian trade union leader and educator, leader of the teachers organisation in Bolivia, delegate at the "Asamblea del Pueblo" in 1971, engaged in the work for women's emancipation. This Bolivian history-related article is a stub. You can help Wikipedia by expanding it.